KTR Promotions in Venice Beach & Los Angeles California: Pick of the Week is the BRANDED ARTS Red Carpet Event this Saturday! Pick of the Week is the BRANDED ARTS Red Carpet Event this Saturday! 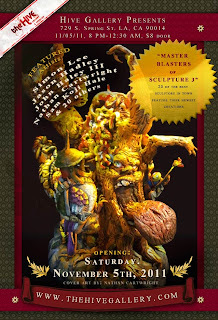 Before we get started, I want to recommend you see an incredible exhibiton. 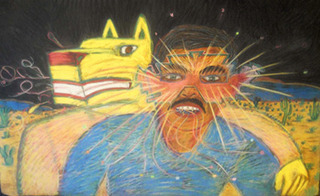 If you go to www.artslant.com you will see my recent review on the front page. 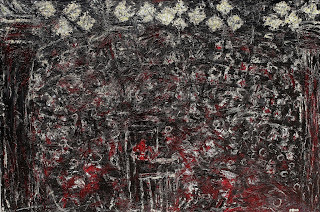 I did a review on artist Sophia Gasparian’s latest art exhibition which closes Nov 5th...so run don't walk...http://www.artslant.com/la/articles/show/28521. My Pick of the Week, happens this Saturday, November 5th. BRANDED ARTS presents a red carpet event to be held at Smashbox Studios in Hollywood. Help out a good cause by donating $20.00 to Witness To A Dream Foundation and you’ll get full access to a star studded evening. 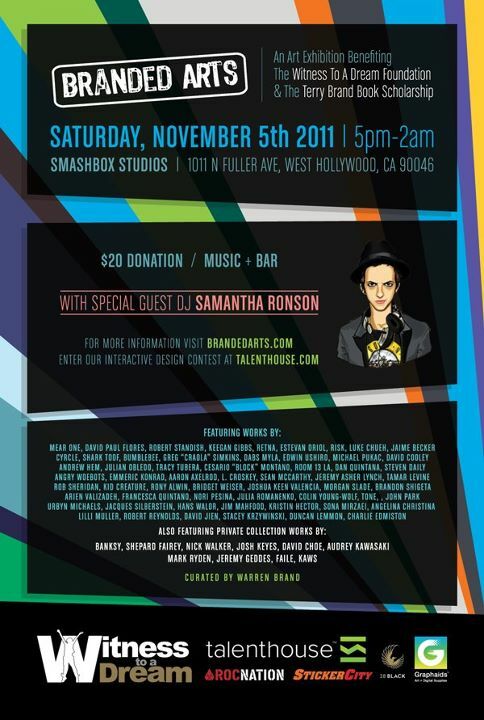 It will include an art exhibition with live painting and music and a special guest DJ Set by SAMANTHA RONSON! Smashbox Studios is located at 1011 North Fuller Ave. West Hollywood, 90466. BRANDED ARTS is excited to have over 12,000 square feet of space with entertainment that includes rotating DJS, 2 fully stocked bars, and large art installations. Featured artists include: Brandon Shigeta, David Flores, Mear One, Shark Toof, Keegan Gibbs, Morgan Slade, Edwin Ushiro, Dan Quintana, Sona Mirzaei (see image), Greg “Craola” Simkins, Bumblebee, Room13 LA, Michael Pukac, Shepard Fairey and Retna just to name a few!! BRANDED ARTS curates art exhibition openings by featuring some of the most renowned and emerging artists of our time. 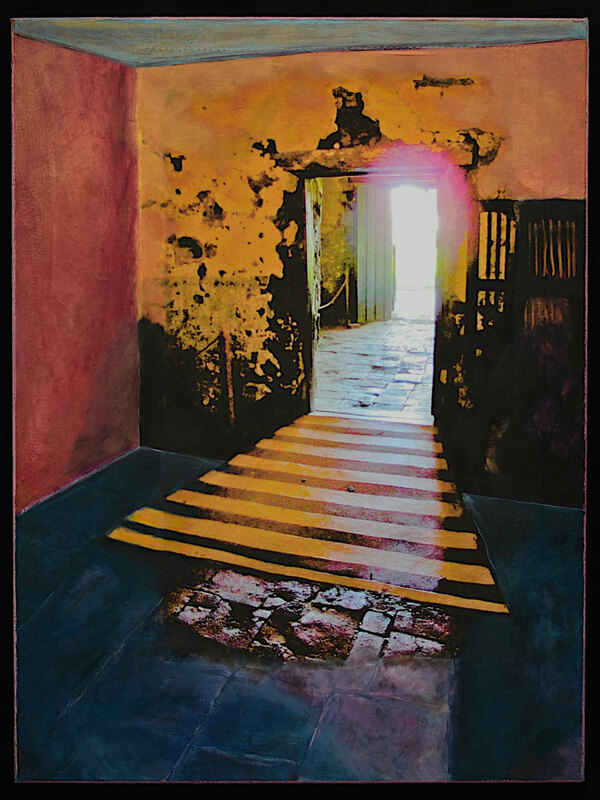 As one of LA’s rising star contemporary artists, Sona Mirzaei is excited to be participating and exhibiting some of her never before seen work as part of this exclusive event! Sona is also gearing up for her solo show opening featuring her exclusive new collection on Saturday, December 10th at Seyhoun Gallery in West Hollywood. For her exhibition on November 5th at the BRANDED ARTS event, Sona will include a piece The Ides of March from her ongoing Roman series. She strives to create powerful, complex and richly beautiful works of art that keep within the place and time they evoke in that enchanting part of the world. 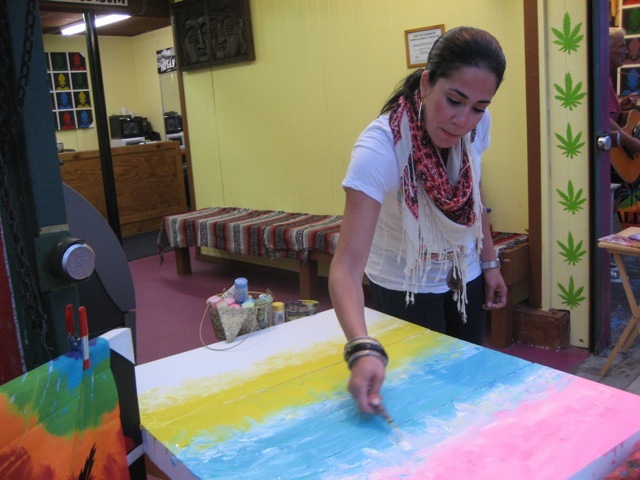 Sona Mirzaei is a true visionary and her passion for art transcends the competitive nature of the international art scene. More info under Saturday events, including all the participating galleries. Dr. Stuart H. Garber will give an informal FREE lecture on how to cope with anxiety and depression today at 6:30 pm. Dr. Garber will be on hand to take questions after the hour long lecture. For more information about Dr. Stuart H. Garber, see website at www.drgarbers.com. 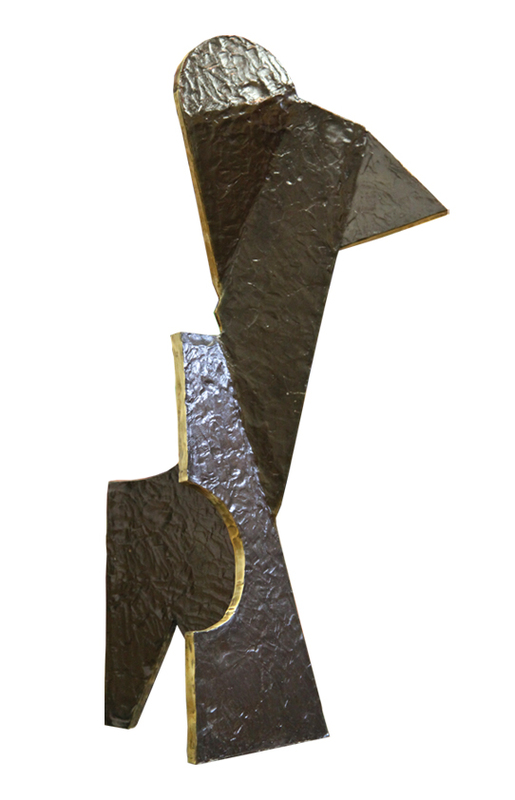 L&M Arts, LA presents New York based, artist Matthew Ritchie in his Los Angeles debut, Monstrance. 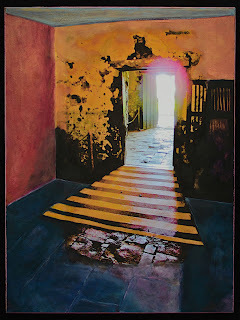 The exhibition will include paintings, drawings, sculpture, a site-specific multi-media installation and a performance. 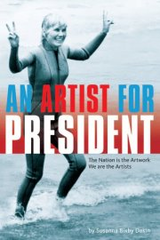 18th Street Arts offers an Artist for President Book launch party and signing. 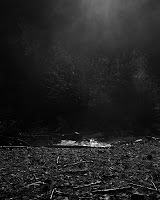 Meet Co- founder, and artists, Susanna Bixby Dakin and Barbara T. Smith along with a performance artist the Dark Bob. 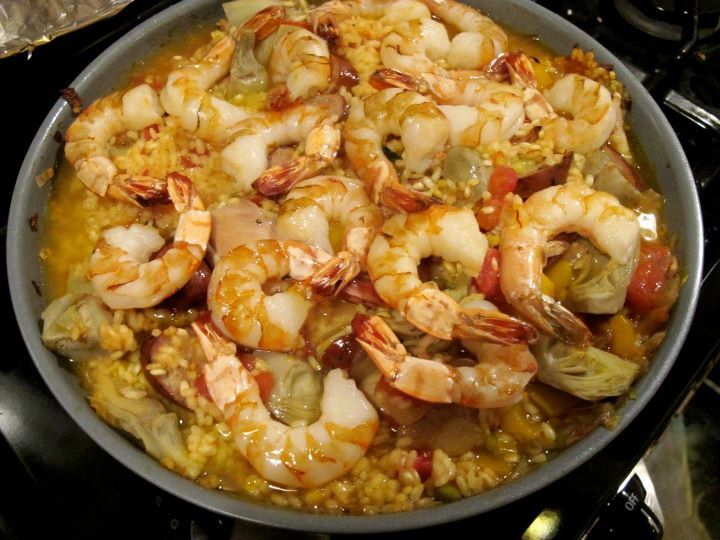 18th Street Arts is located at 1639 18th Street 90404, and the event runs from 8:00 pm-10:00pm. (310) 453-3711; http://www.18thstreet.org. 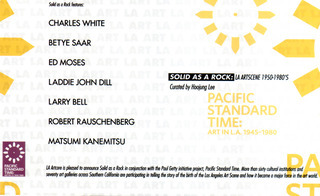 In West Hollywood, Gallery1988 Melrosepresents "Please Post Bills" at 7:00 pm. Enjoy live music with renowned artists specializing in all types of jazz, latin, blues and fusion music. Tasty Italian comfort food at reasonable prices. $13 food or dink minimum. Vitello's Jazz & Supper Club 4349 Tujunga Ave. in Studio City, CA, 91604 (818) 769-0905 . Tickets available at www.ticketweb.com or www.vitellosrestaurant.com. In the Beverly Hills area, there are a couple. M+B offers an exhibition of multi-media works curated by Sam Falls and Matt Moravec. Titled TIME AND MATERIAL, the opening reception will be held from 6:00 – 8:00 pm. 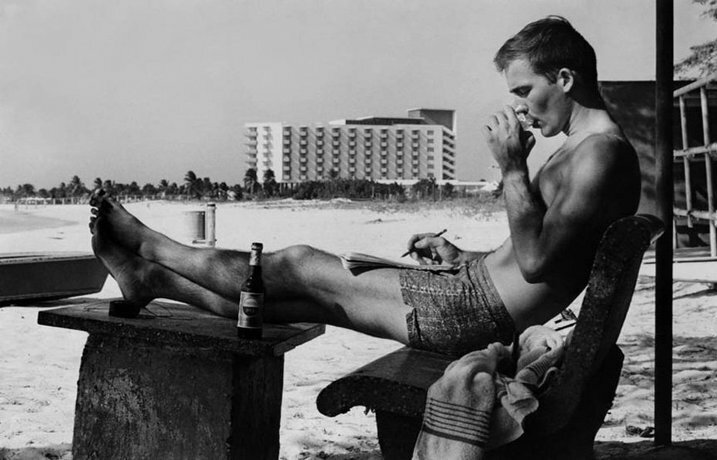 Participating artists include Sam Falls, Jacob Kassay, N. Dash, Hunter S. Thompson (see image), Kyle Thurman and Joe Zorilla. Or stay in Venice, for First Fridays on Abbot Kinney. Most of the stores below will be starting around 6:30 pm, but remember it is Venice. Stores stay open till around 9:00 pm, sometimes later. With the recent arrival of food trucks upon the boulevard, some stores have decided to close early. However, here is a list of some shops that have confirmed with me that they will indeed be open and participating in the event. I'm sure there will be a few surprises. Back again across the street off Santa Clara, is Nitespa, 1301 Abbot Kinney, stop into this local beauty spa and shop that will have all kinds of specials. Keep going north and on the right side is Ananda, stop in for some snacks and refreshments. They have beautiful things. Ananda is located at 1356 Abbot Kinney Blvd. (310) 399-4186. If you love fashion better pop into Bohemian Exchange. This bodacious shop offers sassy edgy designs at amazing prices. G2 Gallery is NOT doing an event tonight! 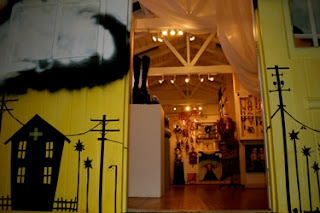 Keep going South and pop by Very Venice Art & Design Gallery located at 1629 Abbot Kinney. Stop by Robin’s Sculpture Garden and enjoy the music of Tommy Santee Klaws, accompanied, by aerials in the sky. Robin’s Sculpture Garden, is located at 1632 Abbott Kinney. This one tends to start later, 8:00 pm till 11:00 pm. Popcorn & Beverages, but there is a $10-$15 donation suggested. Also see fashions from Show Me Your Mumu, and Anna Bruce Designs, who will be featuring local artists as well as serving refreshments. These are both just outside of the garden, so you won’t have to pay the admission fee. 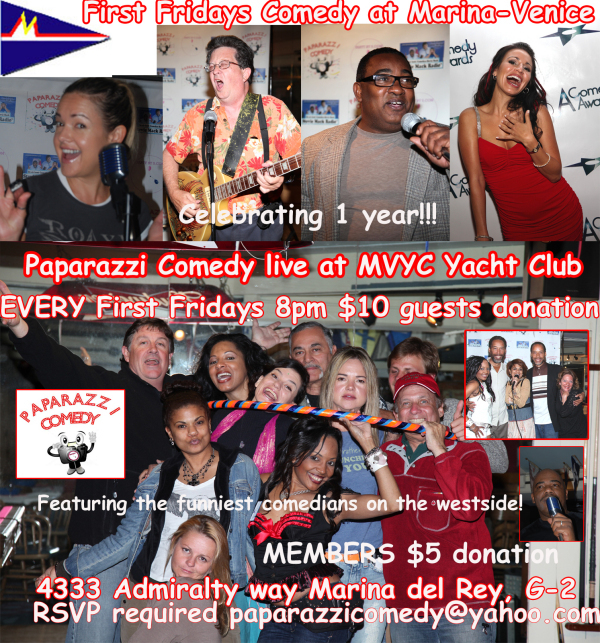 If you still want to party, head to …Paparazzi Comedy at 8:00 pm at Marina Venice Yacht Club, 4333 Admiralty Way G-2 West Tower, Marina Del Rey, CA. Halloween ain’t over yet…there’s a pirate theme tonight. Dress up in your favorite Pirate or Wench outfit at Paparazzi Comedy this Friday. Prize for Best Buccaneer! Hosted by Gisele Rebeiro this will be a fun show with special guests. Now for the Pick of the WEEK….BRANDED ARTS presents a red carpet event to be held at Smashbox Studios in Hollywood. Help out a good cause by donating $20.00 to Witness To A Dream Foundation and you’ll get full access to a star studded evening. It will include an art exhibition with live painting and music and a special guest DJ Set by SAMANTHA RONSON! Featured artists include: Brandon Shigeta, David Flores, Mear One, Shark Toof, Keegan Gibbs, Morgan Slade, Edwin Ushiro, Dan Quintana, Sona Mirzaei, Greg “Craola” Simkins, Bumblebee, Room13 LA, Michael Pukac, Shepard Fairey and Retna just to name a few! For a mere $20.00 donation to the Witness To A Dream Foundation Artists, art lovers, music aficionados will enjoy an exclusive evening on Saturday, November 5th. Come out to Smashbox Studios and support the Witness To A Dream Foundation www.witnesstoadream.org, www.brandedarts.com, http://www.facebook.com/brandedarts, www.sonaart.com. Also at Bergamot, if you feel like shelling out $10.00....High Fashion meets contemporary Art at Track 16. Enjoy "Maximum Miniature : Scale Behavior in Style," a conceptual runway show featuring wearable works, projected images and a puppet show, by L.A. based designer and artist, Lun*na Menoh. While you’re there…pop into The Robert Berman Gallery (C-2) to see the show Paid to Play Illustrating Los Angeles: 1945 – 1985. This exhibition features artists who earned their living as illustrators. This exhibiition offers some incredible, pin-ups and collectables. 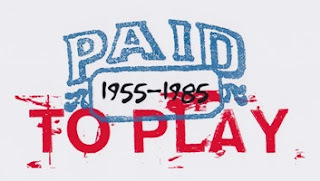 Paid to Play is the first of several exhibitions to appear at The Robert Berman Gallery which fall under the umbrella of Pacific Standard Time. 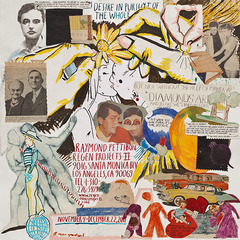 This unprecedented collaboration, initiated by the Getty, brings together more than sixty cultural institutions from across Southern California for six months beginning October 2011 to tell the story of the birth of the L.A. art scene. It opened in September, but it’s a fabulous show, you gotta see it. Then right across in Berman’s other gallery (D-5) catch the show Transformation, see image of Robert Heinecken. 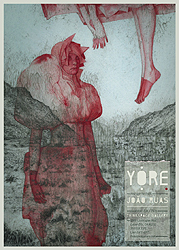 Thinkspace offers an artist reception for João Ruas. 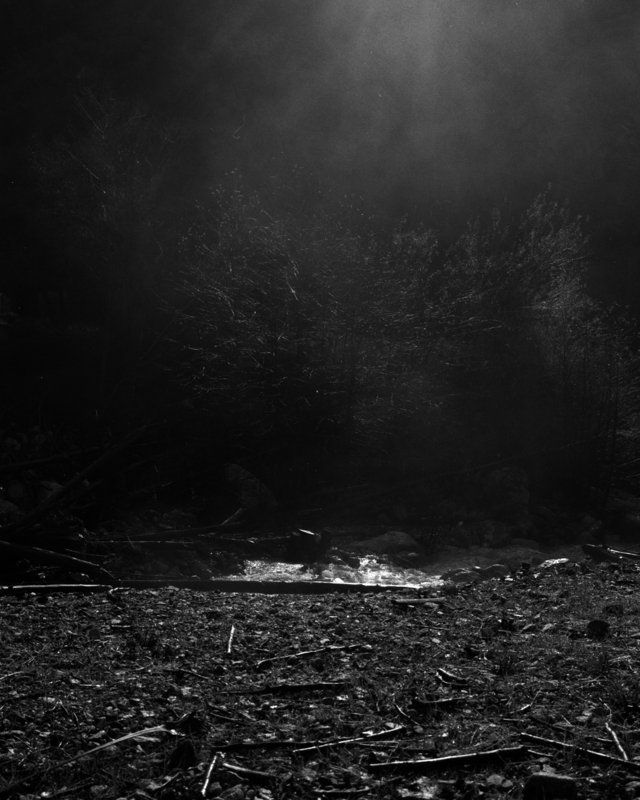 Artist, Andrea Offermann will be featured in the project room. Reception runs from 5:00 pm to 8:00 pm. This gallery always has fun openings. 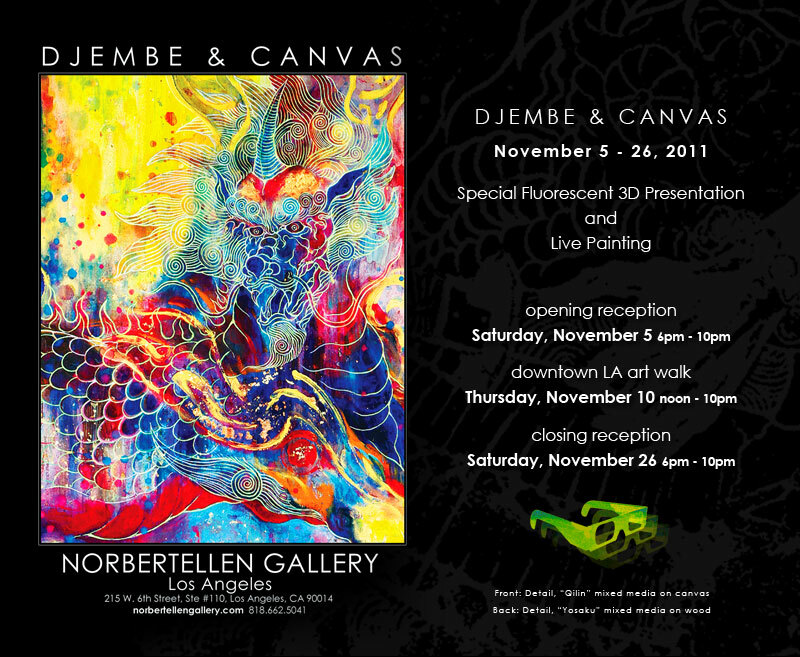 If you prefer downtown , Norbertellen Gallery presents DJEMBE & CANVAS. 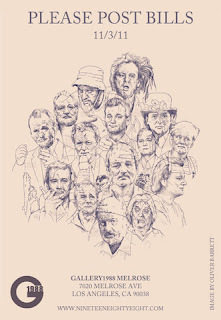 Also downtown, Cotrutza Gallery opens a new exhibition tonight, entitled, "Memories from the Future." Be aware that it is $8 at door. However, it does include live music. The Hive Gallery is a fun funky gallery located at 729 South Spring St. Event runs from 6:00 pm till 9:00 pm. 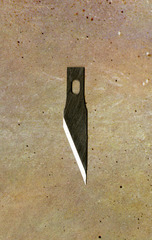 http://hivegallery.com/. 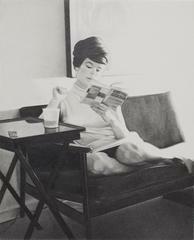 Or hang by the beach In Venice…Gebert Gallery presents Past/Present with artist Betty Gold. 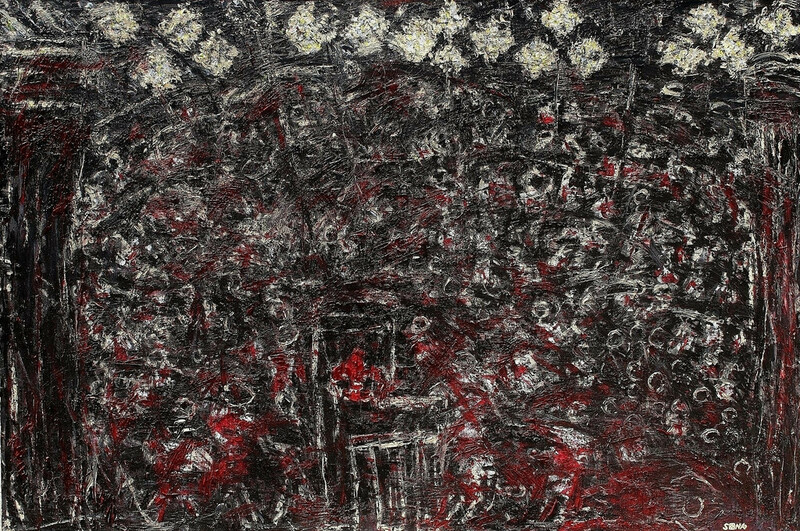 The show runs from November 5th through December 13th, 2011. Or you may want to attend a very special dinner in Venice, entitled Le Secret Supper. Meet new friends and enjoy incredible food at this private affair from 7:00 pm till 10:00 pm. 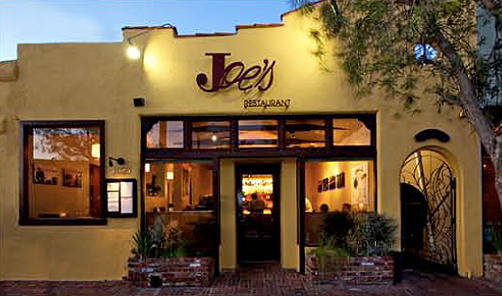 Venice local, Esquire Jachem hosts the elegant evening and Chef Leslie Paonessa will dazzle your taste buds. 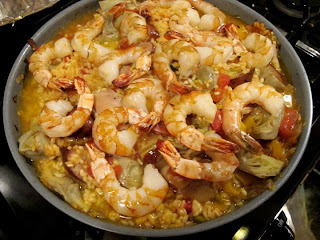 There is a set price of $55.00 pp for food only or with a wine pairing, for $70.00 pp. I have been, and I highly recommend it. 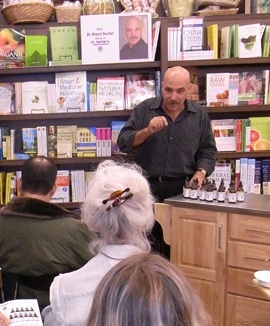 A portion of the proceeds will benefit the Israel Levin Senior Center in Venice. Contact Leslie at lfpsm@earthlink.net for reservations and additional info including the address. For more info and full menu, see Weekly Features Page. 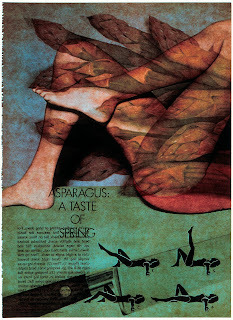 In Topanga, Pine Tree Circle presents Robin Becker (see image). The opening reception will be held from 5:00 pm till 8:00 pm. 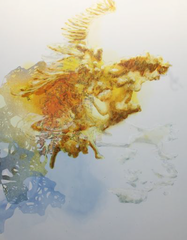 As part of Pacific Standard Time, LA Artcore Union Center for the Arts presents a top notch exhibition, curated by Hoojung Lee from 3:00 pm till 5:00 pm. Check back for more updates on Friday!